The mobile workforce is making wireless networks and imperative. Many managed service providers are incorporating managed wireless networking as part of their offerings. But, a few industrious MSPs are making a leap forward by helping end-users leverage data gleaned from WiFi networks into actionable business intelligence. Turning WiFi into BI is no simple matter, but has great potential for generating higher value engagements for MSPs and their vendors. Wireless networking vendor Aerohive’s Michael O’Brien joins Pod2112 to discuss how MSPs are tapping into the business intelligence opportunities with managed WiFi. Michael O’Brien, VP of Global Channel Sales for Aerohive, was recently on POD 2112 discussing turning Wi-Fi into business intelligence. 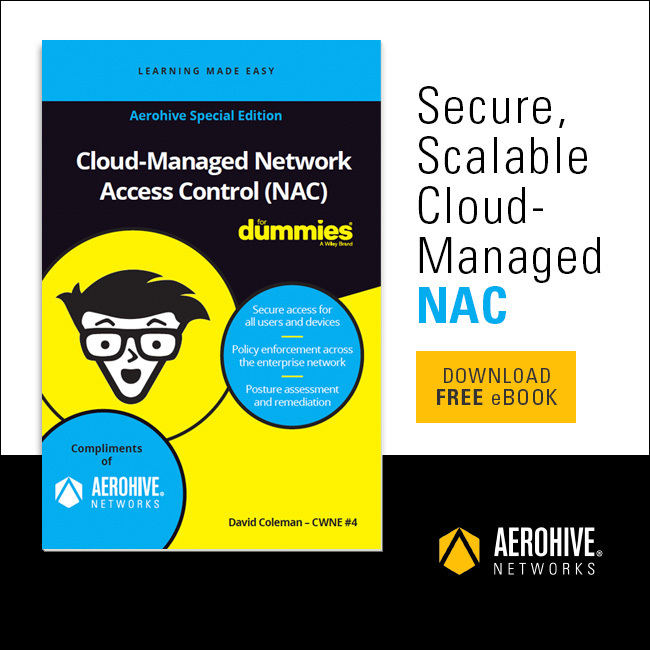 Aerohive simplifies and secures your network using a cloud-managed solution with machine learning and artificial intelligence capabilities. AI-driven innovation enables customers to discover untapped business insights, allowing them to implement informed decisions based on these predictive analytics, while providing unrivalled flexibility in deployment, management and licensing of cloud-managed wireless, switching, routing and security solutions.